2019 for Aquarius is rather like thinking you’ve polished off the entire box of your favourite chocolates only to find there’s another layer underneath. It was the cunningly shaped box that fooled you. But will this please or displease you? Can have too much of a good thing? Maybe you’ll decide to tuck into that extra layer at a later date or perhaps you’ll give it away in an act of pure, saint-like generosity? How did we arrive at this little analogy? Well, the way that this year’s wonderful eclipses fall in Aquarius 2019 horoscope and this is the type of year ahead they outline for you, they tell us that this might be a year of self-sacrifice or pure self-indulgence, whereas the ideal state for you to settle into is somewhere in the middle, we feel. If you’ve neglected your soul, then this the year when you give it a great big hug and do something that is going to make you feel safe and secure and comfortable, or you will be attracted to scenarios and people that make you feel this way, and you will come up with excuses to avoid the people that make you feel the opposite of these things. And then relax. You must find some way to learn to relax if you don’t do enough of this type of thing and you’re always running around after you-know-who, the parents or the kids. Aquarius Horoscope 2019 predicts that this is the year of plumbing your hidden depths and perhaps even finding a hidden talent, or for getting a job that has more of a vocational quality to it, and for helping others, or this is the year when you might find yourself in a role where you work alone, or you discover the joys of being able to get on with it without having someone breathing down your neck. You might also feel that you need some time to decompress and get out of the rat race, so if you are ever going to move out into the sticks then this could be your year to try it out for size! Because of where lucky Jupiter’s directing its gorgeous energy in your horoscope, which is, incidentally, a part of the horoscope that is close to your heart, this is also your year of friendship. 2019 is the year when making new friends will lift your soul, and one when you get a real boost by being a cog on a wheel, so how about joining a group or society or considering a hobby that’s sociable to boot, like adding your voice to a choir for instance? This doesn’t have to cost the earth if money is an object once you get your wonderful brain into gear. You might also looking into the spiritual side of life or you’ll do some volunteering or do something practical to help someone that’s fallen on hard times. 2019 is also your year of not going with your mind and taking a risk and when you will, and regardless of your relationship status, and of not letting pride influence your decision making as much as you let it during 2018. Freud, or was it Jung, one or the other, said that couples stay together to avenge each other’s bad behaviour, like getting one over on each other each time is the glue that holds them together, so love’s always a battleground in other words, with both parties vying for supremacy. That’s a pretty depressing view of the world. Are you a single Aquarius? 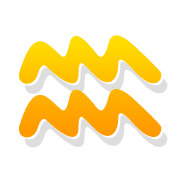 Check out Aquarius Single Love Horoscope 2019! Luckily, and even though you’re blessed with one if you the biggest brains in the zodiac, don’t take such a negative view of your relationships this year because you have hope that and a belief that love must run much deeper than his analysis or what’s the blooming point of it all. You’d like to get into someone’s head as well as their heart in a relationship and perhaps spending more time with each other, the so-called quality time, is the answer. And you might be surprised to read this in a love horoscope but the odd crossed word and getting stuff off your chest is also a healthy thing to do because it prevents things festering and then corroding other stuff that would’ve been okay had you dealt with the ‘rotten’ bit in the first place. Let’s round things off with a look at how the movements of the love planets, Venus and Mars, are going to benefit your love life in 2019 Horoscope. Venus will be in your sign from 2nd of March to 27th March and in your opposite sign of Leo from the 29th July to 22nd August. The first is a window of opportunity for the single among you to do something proactive in your search for love, while it’ll remind the coupled among you why you fell for the Light of your Life in the first place if there’s been more throwing shade than anything else lately. The second timeframe is when someone might reveal secret feelings that they have for you, or when your beloved does most of the running because you decide that the time has come for them to prove their affection for you.